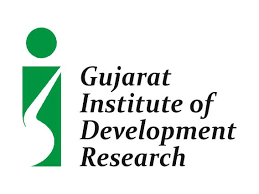 Gujarat Institute of Development Research (GIDR) has published Advertisement for below mentioned Posts 2018. Other details like age limit, educational qualification, selection process, application fee and how to apply are given below. a) A Bachelor’s degree in any discipline from a recognized university and preferably a degree in Law with other skills including shorthand and knowledge of computers. b) Minimum 10 years’ experience in administrative and allied positions with good oral and written communication skills in English, preferably in a Government/ Autonomous/Research/Educational Institutions. c) Candidates with the capacity to organize meetings of the Governing Body and other Committees and also the ability to take notes/prepare agenda notes/ minutes would be preferred. d) Must have knowledge of modern management practices. e) Must have the knowledge of overseeing the accounts of the Institute. Preference will be given to SC/ST candidates. A screening of applications would be carried out by a Committee constituted by the Institute to shortlist the candidates. Only those shortlisted candidates will be called for test/interview. However, mere satisfying the eligibility criteria does not entitle a candidate to be called for an interview. The Institute reserves the right to call only a limited number of candidates after preliminary screening of the applications. The Selection Committee may relax qualifications in exceptionally deserving cases and also consider suitable candidates from outside the list of applicants. How to Apply: Interested candidates should submit their applications in hard and soft copies (e-mail: do@gidr.ac.in) addressed to the Director, Gujarat Institute of Development Research, Near Gota Flyover, Gota, Ahmedabad 380 060 on or before August 31, 2018. The envelope should be superscribed with “Application for the post of Administrative Officer” and marked as “confidential”. The Institute cannot be held responsible for any postal loss/delays in communications. Paytm bus Providing you with the easy transaction on mobile recharge, DTH, bill payment, money transfer, bus ticket bbooking, flight tickets and much more! The 2019 QX50 delivered a 0-60 mph time of 6.4 seconds during testing by Motor Trend.